If you're tired of seeing Android's underrepresentation in the creative world, then a full 62 minutes of late-night television might make up for it. This evening's episode of "The Tonight Show Starring Jimmy Fallon" was shot exclusively on the Samsung Galaxy S10+. 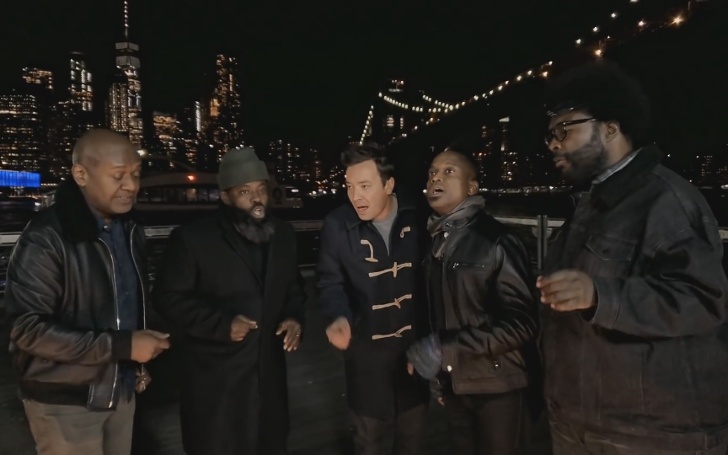 The program released a teaser clip on its YouTube channel today showing off the talents of its eponymous host and its resident band, The Roots, performing the song "In the Still of the Night" with the lower Manhattan skyline in the background. The scene was aptly shot at night, which brings to mind the Galaxy S10+'s low-light imaging performance as we've reviewed it: our David Ruddock found it lagging behind Google's and Huawei's showings while Zachary Anderson from our video side panned the cameras for overexposing most of their output. The show's production crew, however, should know how to set up lights and make TV magic happen. Most of the runtime will be filled with guest interviews — tonight's bill includes Conor McGregor, Michael Che, Rachel Feinstein, and Frank Pellegrino Jr. — which will likely be stationary affairs in controllable environments, so there's less for the team to worry about there. Yet, this seems less of an exercise in pushing a tech company's prowess than John Legend's effort with the Google Pixel 2 and his music video for "A Good Night" — that was three adventurous minutes of having all the wrong lighting in all the wrong places. And never mind all the "Shot on iPhone" campaigns plastered on billboard after billboard you've seen in the past several years. The Tonight Show airs on NBC at 11:35p.m. EDT and PDT and 10:35p.m. for most other U.S. time zones. Check local listings for your channel. The whole show will be available on NBC.com, Hulu, and other streaming platforms while segments will be made available on YouTube shortly after air.